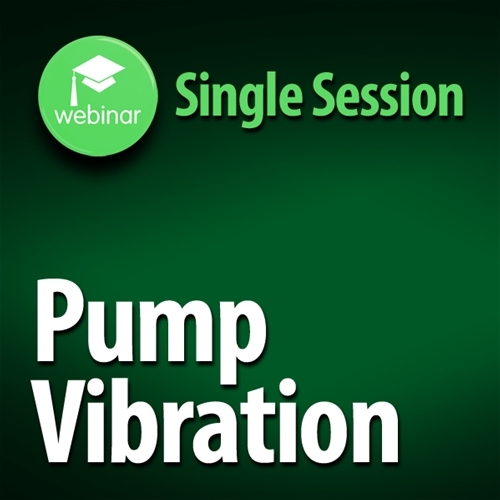 Rotodynamic Pumps for Vibration Measurement & Allowable Values Webinar. This course reviews the recently updated normative ANSI standard (including appendices) for vibration acceptance testing, along with the companion guideline documents: ANSI/HI 9.6.8 Rotodynamic Pumps – Guidelines for Dynamics of Pumping Machinery and ANSI/HI 9.6.5 Rotodynamic Pumps for Condition Monitoring. Please note, you have 1 day from the first day of access to complete the viewing of this on-demand webinar.